The human brain cycles through four different frequencies, depending on what state of consciousness we are in: Beta, Alpha, Theta and Delta. Brain waves are measured in Hertz, one Hertz (Hz) being one cyclic wave per second. Beta Brain-wave state (14-30 cps) Beta is the normal, awake state of the brain with conscious activity, alert, ready for physical activity, able to operate machinery, have a conversation, make quick decisions and able to feel positive and negative emotions eg excitement but also anger, fear, tension. As neurons fire abundantly, new ideas and solutions can seem to flash like lightning into your mind. As Beta state is also being fully conscious, there can be resistance from the conscious part of the mind, putting up barriers to change. All deep and lasting permanent change occurs in the unconscious part of the brain which accounts for 90-95% of all brain activity. This is the early stage of relaxation although the person may still be alert but not fully focused. As the person relaxes physically and mentally, they are passively aware of their surroundings and feel a sense of well-being and tranquility. When I say passive, you might be daydreaming so miss your turning when driving. As such, it is a level of trance which is an altered state of consciousness. Realising you have missed the turning means you are back in Beta. Alpha state is the state necessary for most hypnosis eg. changing habits, eliminating fears, improving confidence etc. In Alpha, the doorway between the conscious and unconscious/subconscious is opened which also means memories otherwise pushed deep become easily accessible. This is why we can take someone back, in this lifetime or otherwise, depending on the person’s belief system, in what we call “regression”. Alpha state allows creativity to flow. You can imagine yourself performing without any thinking limiting your achievements. This level of deep relaxation brings tranquility but also creativity and accelerated learning. The unconscious, or subconscious, mind cannot distinguish between reality and imagination so this is the state where we can visualize what we want to achieve eg a slimmer figure looking good, or playing a sport consistently well, charismatic public speaking and the unconscious mind will re-program whatever is necessary to make this a reality. This is an optimal trance state for hypnosis with heightened imagination and receptivity to suggestion, possibly deep day dreams or lucid dreaming. It is a normal state that we experience from pre-sleep all the way into REM sleep. We therefore go into Theta state every day. Theta state is also associated with extreme forms of mind and body control eg walking on coals or fire-eating. Rhythmic sounds which vibrate at 4.5 beats or cycles per second can induce a trance-like state of theta brain-wave. W Vogel, D M Broverman and E L Klaiber (1968 “EEG and Mental Abilities, Electroencephalography and Clinical Neurophysiology, 24, 166-175) described two types of theta brain-wave states. Theta in Class I inhibition is seen in a relaxed, drowsy state. Theta in Class II inhibition is associated with efficient, automatic and sustained mental performance. This increases efficiency in problem solving, perceptual processing and memory retention. It is seen in the later stages of hypnosis. We experience this in the deepest stages of sleep, a state of total unawareness, of unconsciousness, without feelings or emotions. This state is the slowest brain wave frequency and not reached in hypnosis. It is the state of tissue repair, healing and regeneration. We naturally go from one brain-wave state to another throughout the day and night. Hypnosis is a totally naturally way of inducing a state for beneficial purposes. 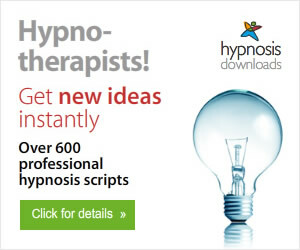 How is Hypnosis Induced in a Therapy Session? 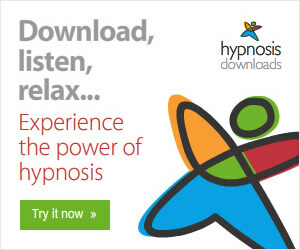 A hypnotist will ask you to sit or lie in a comfortable position, ask you to close your eyes and talk you into a relaxed state through any one of a number of techniques called inductions. When your breathing is visibly slower and your facial muscles relaxed, a deepener will be used to take you into a deeper state of relaxation and thus lower level of brain-wave. This may be through counting up or down slowly (I prefer down), perhaps combined with visualizing going down steps, through coloured doors or going down in a lift. I personally avoid the latter as many people do not like lifts even if they do not actually suffer from claustrophobia. Suggestions that you are relaxing deeper and deeper will be repeated to achieve the level of hypnotic trance desirable for the therapy. Whilst the earlier stages are fine for most habits or reasons for seeking therapy, a deeper level will be needed for pain control, anaesthesia for childbirth, dentistry and operations. It is said that only 5% of people can achieve a deep trance state. This is the level needed for stage show hypnosis using volunteers on a one-off basis but I personally believe anyone can achieve very deep levels if they practice hypnosis on a regular basis. I used to be very stress and tensed. Now I can lie on a hard floor and feel nothing within 30 seconds. I have also used self-hypnosis in childbirth twice meaning I did not use any other form of pain control. I also used it whilst waiting to go down to the operating theatre for a serious operation. Hypnosis produces reduced bruising and aids faster recovery. I was told to expect a stay of 2 weeks yet was home after 6 days and fully recovered from the anaesthesia and back to normal health in 6 weeks.